As the new financial year is about to begin, organizations and their leaders look at the goals they want to take for themselves. The process of goal setting, and its results are often influenced by the mindset of the leader. A lot of organizations often use the following clichés while goal setting. Let’s aim for the Sky! Sounds familiar? While this looks exciting and promising and defines what I would call as an Optimist Mindset, it has several pitfalls which organizations and leaders fail to discover. Optimism based on one’s ambition, dreams often can be disconnected or far from the reality. While there have been many powerful stories and tales around how a big dream got realized – and hence the power of thinking Big, it fails to account for how, 99.5% other such big dreams never materialized. So would it prudent to make the goals more realistic? There is a case for a realistic approach. The difference between pure optimism based approach and a realistic approach is sometimes so obvious that people chose to ignore it or downgrade its role in making goals happen. That small thing called “common sense” is often derided because it seems to bring down the lofty goals which an Optimist Leader is trying to project. 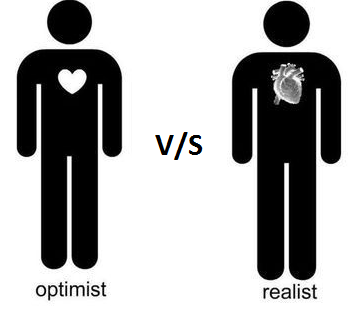 And History has always decorated the Optimist….Realists have hardly been recognized for their contributions. There also can be something like an Optimism Fatigue which organizations need to watch out for. Multiple occurrences of organizations projecting a bigger picture than what it achieves can lead to the team feeling fatigued and disillusioned. This is a situation which leaders need to avoid. The key is to keep the gap between Optimistic and Realistic goals and their approach to minimum. 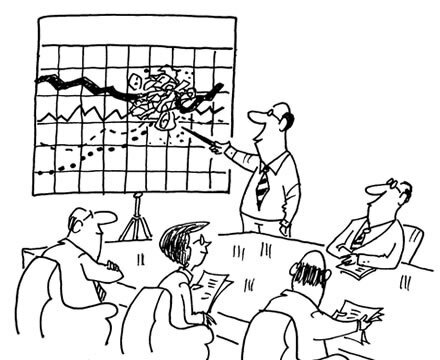 Plugging this gap is vital for organizations to grow in a sustainable manner! !